Highest Performance with Atheros AR9390-AL1B Solution, 3T3R, Industrial Temperature -40C ~ +85C, up to 450Mbps Data Rate. The EW-WPEA-127NI is an 802.11a/b/g/n Dual-Band Mini PCI Express Card based on Atheros AR9390-AL1B chipset. It supports 3T3R MIMO Technology, which provides maximum data rate up to 450Mbps and improves the overall Wi-Fi coverage area. 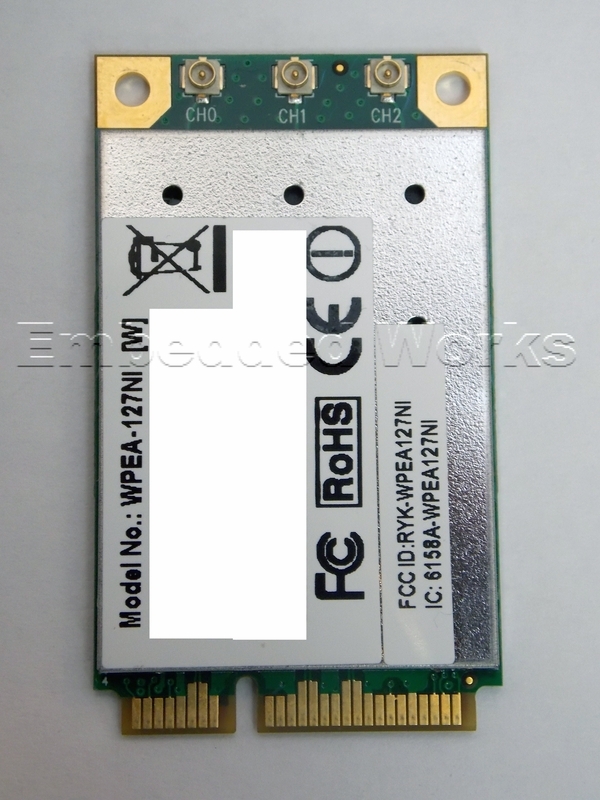 The EW-WPEA-127NI PCI Express Card incorporates advanced security encryption, such as 64/128-bits WEP, WPA, and WPA2. Improved Power Efficiency - With Atheros Unscheduled Automatic Power Save Delivery (UAPSD) solution, the device embedded with EW-WPEA-127NI can be in sleep mode more often and longer to achieve significant power efficiency.